Many marijuana growers tend to make a fatal mistake by underestimating the importance of light for weed seedlings, which is actually no less significant than using the most suitable lights during the flowering stage. So yes, you need to utilize the best lights for weed seedlings if you want to enjoy those delicious, massive buds upon harvesting. Thankfully, we are living in the era of open and free Internet communications and thus, a little research goes a long way. We are here to help and save you the time for scrolling multiple pages while looking for the most valuable information on understanding and choosing the most suitable lights for your baby marijuana plants. Keep reading and find out everything you need to know to succeed in your cannabis growing quest! LED lights are gaining a very stellar reputation among marijuana growers of all levels. 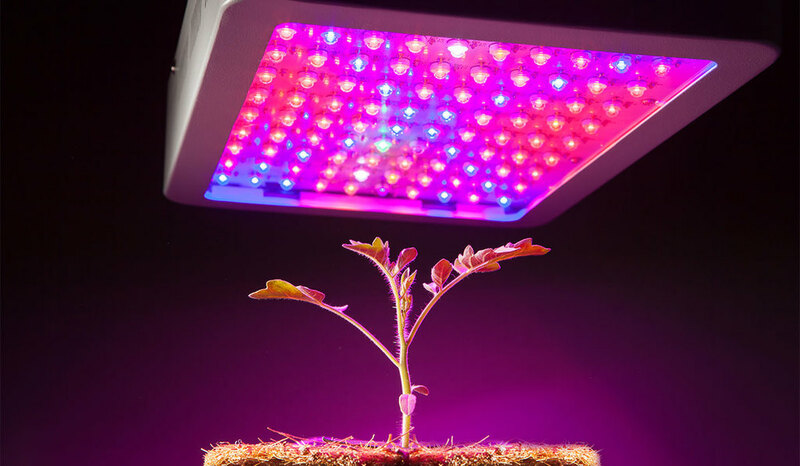 The advantages of growing weed using LED lights are numerous. For a start, nowadays there are multiple LED lights available on the market, so there is a little bit of everything to suit each budget. Nevertheless, high-quality LED lights will repay every single cent you spent because they are considered the most energy-saving, as compared to all the rest. On another note, LED lights emit little heat so you can stay away from problems, related to excessive light and heat, such as heat stress and burns, among others. However, proper positioning of the LED lights is still a must because if you do place them too far away from your green babies, you risk making the plants stretch too much in search of the light and you do not want weak and spindly cannabis plants. 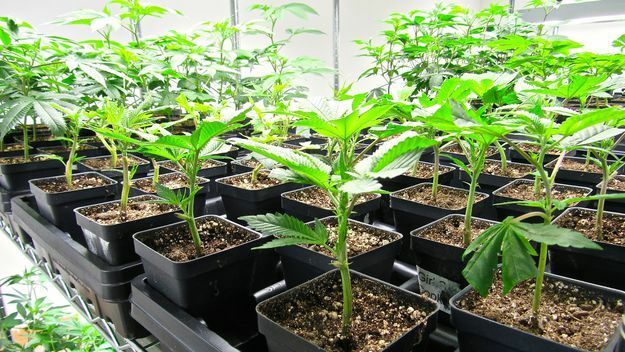 When it comes to marijuana seedlings, you won’t go wrong if you opt for using fluorescent lights, as well. Both spiral compact fluorescents and tube fluorescents will do a good job for taking proper care of your baby cannabis plants. However, fluorescent lights will emit much more heat, as opposed to LEDs. Thus, it is crucial to position your fluorescent source of light precisely. If you place the lights too near, you may harm your plants by exposing the fragile seedlings to excessive heat. For a start, install your fluorescent lights about a foot away from your plants. Proceed with close monitoring of your green babies and when the plants start growing in height, reposition the lights a bit higher. Then again, if you are planning on growing multiple plants, fluorescent lights may cause you to spend more money on electricity bills, as opposed to LEDs, so this is an important aspect you need to keep in mind. We cannot skip commenting on natural sunlight as a suitable source of light for your weed seedlings. If you happen to live in a geographic region, where the sun hours are plentiful, it is always a great idea to take advantage of the power of the Sun. After all, sunrays come with just the perfect spectrum of light that your green babies will need to flourish. But on another note, you cannot possibly rely solely on sunlight. 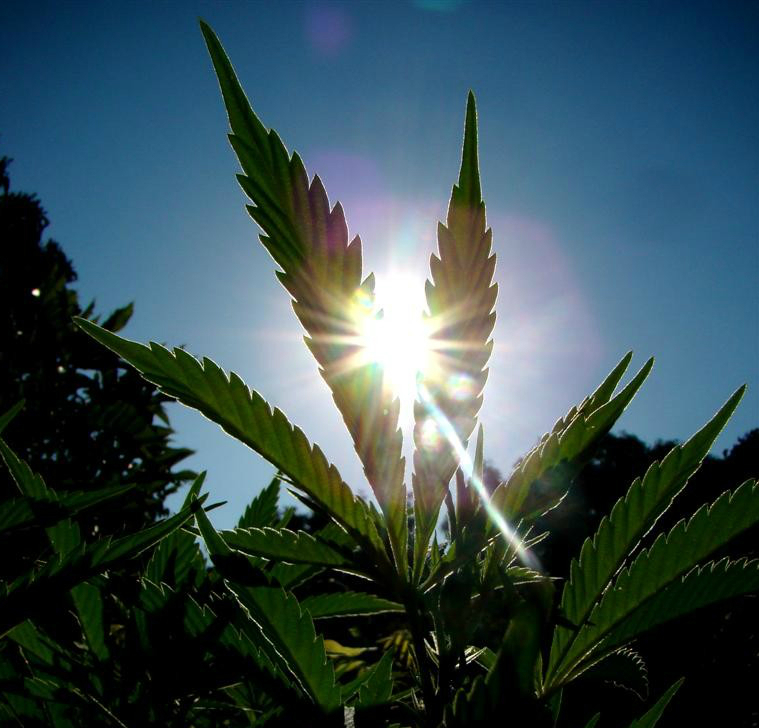 Marijuana seedlings require at least 16 hours of consistent exposure to light. Thus, your best move is to utilize the sun hours but then still make sure you supply your green babies with a few more hours of sufficient light by using an artificial light source. Now for a start, MH lights, or also known as Metal Halides are a suitable option for growing your baby marijuana plants. 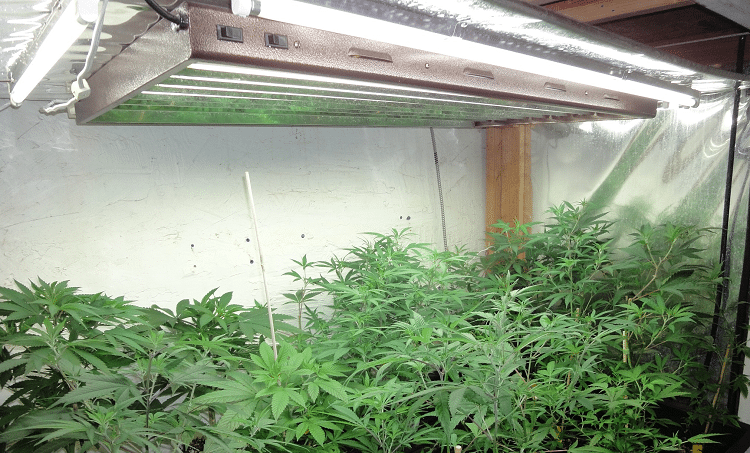 But when it comes to HPS lights, also referred to as High-Pressure Sodium lights, it is best to stay away from these. The light, emitted by Metal Halides (MH) falls into the blue spectrum, which is very nurturing for cannabis seedlings. As a rule of thumbs, the higher the wattage of your MH lights, the more you should strive for positioning the lights further from your green beauties. High-Pressure Sodium lights might appear totally compatible with growing your marijuana babies, however, this is a wide-spread misconception. HPS lights do not emit enough of the blue light. Blue light is crucial for helping your plants orient better in the environment, as they use the blue light for the purpose of pointing the way to the light source itself. That process is called phototropism and you need to take advantage of it if you want to enjoy sufficient crops once the time has come. 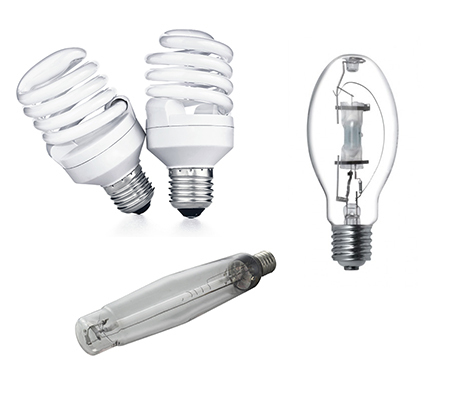 Last but not least, you want to avoid using incandescent lights at any cost! Incandescent lights emit too much heat which is damaging to your delicate weed seedlings. What’s more, incandescent lights actually produce an insufficient amount of light, so don’t waste your time and money on these!